Veterinary hospital based in Belize City providing animal health services to the Belizean community country wide. 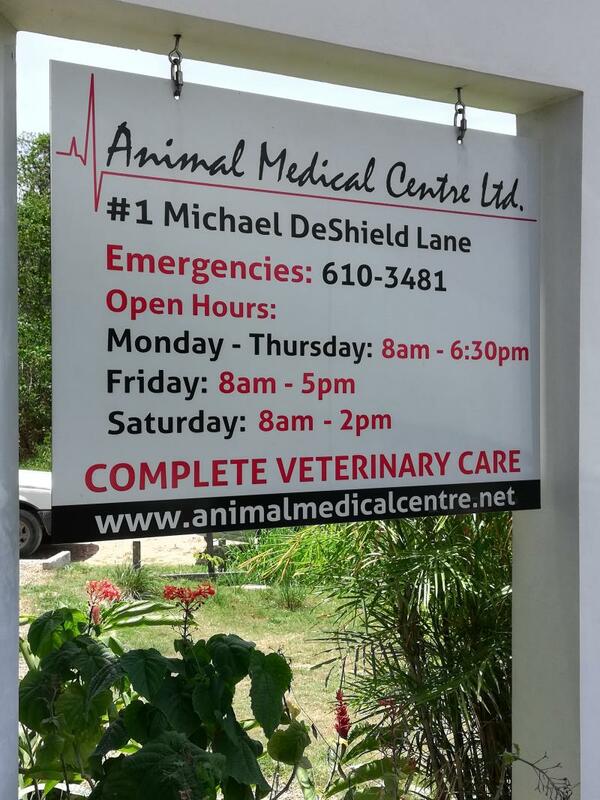 The Animal Medical Centre is a veterinary hospital based in Belize City providing complete veterinary care in an integrated manner to predominantly companion animals, large animals, and wildlife. Animal Medical Centre has developed a reputation in Belize over the past 19 years for quality service. Our team firmly believes in client education and community development. Animal Medical Centre serves as a referral clinic for local veterinarians, as a teaching facility for veterinary interns and externs, and continues to provide work experience for Sixth Form and High School students. Animal Medical Centre staff give presentations on veterinary medicine and responsible animal care to special groups and educational institutions in Belize. We extend warm thanks to all our patrons and look forward to serving you better in the years to come. 2. Off Chetumal Street, turn at the Belama Police Station onto Albert Hoy Street, continue on and turn right at the third street onto John Smith Street. We are at the end of road.